As the airwaves begin to bombard us with scenes from the Winter Olympic Games, from Sochi, Russia, it may be time to review what exactly it is like to partake in those events. And Winter Sport: Poems by Pricila Uppal, gives great examples of the endurance involved in those events. Uppal was the poet-in-residence for Canadian Athletes Now during the 2010 Olympic and Paralympic Games. Her words illustrate well the sports we are all about to watch on our television sets in the next month. as you break the seal of goodbye. Uppal’s words makes a reader understand what an athlete goes through as they compete. It is very easy just to sit back and watch, but to imagine what it is like to participate takes a whole new level of imagination. Winter Sport: Poems by Priscila Uppal is a perfect companion to watching this year’s Winter Olympics. Her words clearly allow the reader to understand what endurance in the sports is like. The media has been dominating the airwaves recently about ‘The Northern Gateway’ – the outlet to the Pacific Ocean where plans are being made to build a major pipeline from Alberta to the British Columbia coast. But what exactly makes up that area is hardly know or discussed in great detail to the rest of us Canadians. Arno Kopecky has travelled the area extensively and documented his trip in The Oil Man and the Sea. The media hammered home the details: an 1,177-kilometre pipeline linking Alberta’s tar sands to British Columbia’s central coast; more than half a million barrels of bitumen per day being piped across the Rocky Mountains and crossing a thousand waterways, more than half of which bear salmon; a projected construction cost of $5 billion, then $5.5 billion, then $6 billion. but the most fraught portion of the bitumen’s journey didn’t even start till the pipeline ended, in the deepwater port of Kitimat. There, at the head of an 80-kilometre-long inlet called Douglas channel, the bitumen would be loaded onto oil tankers destined principally for China. Approximately 225 tankers a year would be hauling their 2-million-barrel payloads not just through Douglas Channel, but also through the 200 kilometres beyond it of inlets, souns, channels and straits separating Kitimat from the open ocean. This prospective route wound directly through the turbulent heart of the Great Bear Rainforest, henceforth to be thought of as the Northern Gateway. Kopecky has written an excellent combination of journalistic essay and travelogue about the region better know as the Great Bear Rainforest but is commonly being called “The Northern Gateway.” He and his friend – the photographer Ilja Herb – bought a sailboat (named the “Foxy” and with a temperamental motor nicknamed “Suzy” ) to look at the region closer. The result is both an informative and interesting read. Now a captivating drama was unfolding in our backyard, and thanks to Foxy we had a rare chance to examine it up close. In the opening months of 2012, as the Northern Gateway public hearings took off beneath the roar of a national argument, we hatched a fragile plan: we would sail out of Sidney in mid-June and ascent the east coast of Vancouver Island, reaching the Great Bear Rainforest/Northern Gateway in ten days if all went well. That would give us three months before winter storms became a risk; twelve weeks to explore the proposed tanker route in fair (we hoped) weather and visit a selection of communities along it. These communities, chosen partly on the basis of geography and partly on who returned our emails, included the First Nation reserves of Bella Bella (Heiltsuk), Hartley Bay (Gitga’at) and Kitamaat (Haisla). The later, though close in name and location, was not to be confused with the decidedly non-indigenous town of Kitimat, proposed terminus of the Northern Gateway pipeline and port of call for 225 oil tankers a year. Roughly eight hundred circuitous kilometres by sea from Victoria, Kitimat would mark the northern apex of our journey, form whence we’d turn around and head back south the same way we’d come up. The only flaw in this plan was that neither of us knew how to sail. Kopecky practises a lyrical style of journalism in this book that is easy to read and follow. The people he meets along the way and the descriptions he use to talk about them heighten one’s awareness to the area. “At last, our people our healing,” said Andrea Cranmer, who, together with her mother and sister, operated an art gallery and café called Culture Shock. Culture Shock was the first place we went, like every new arrival; it stood above the marina and ferry terminal in the precise centre of Alert Bay, marking the boundary between the town’s two halves, and a certain fusing of native and Western cultures was evident in the Namgis-made paintings and T-shirts and carvings and jewellery for sale in the Cranmers’ gallery. Andrea was a crackling, mischievous woman who was clearly enjoying middle age, and she made us sit on the couch after we told her what we were up to. “Last journalists came through here,” she told us, “only wanted to talk. They didn’t have time to listen.” She told us she was dedicated to reviving the feasting, dancing and gift-giving ceremony know as the potlatch, central to all coastal First Nations’ culture, back to its former glory. The potlatch ban and residential school each lasted for forty years; the damage they inflicted had no such time limit. “I see a lot of my people walking around with the weight of the world on their shoulders,” Andrea said, “but I tell ’em all the same thing: Get off the cross, we need the wood!” She like to focus on solutions, Andrea did, and potlatches were her favourite panacea. “Our kids our growing up proud again,” she said. “There’s a lot of healing still has to happen, but that’s part of what the potlatch does. The nightmares my generation had to deal with are finally thing of the past. Our kids aren’t ashamed to be Namgis anymore. Kopecky has a wonderful style in describing the wilderness that will be surrounding the Northern Gateway project. A pod of orcas was lounging at the narrow entrance to Reid Passage. No theatrics this time. They resembled bullish Holsteins of the sea, their metre-long dorsal fins wagging in the air as they rummaged lazily in the shallow water. It looked like Hakai, this collection of miniature white-sanded islands with bonsai trees blasted by their exposure to the open Pacific. The water grew calm and clear enough to see through to the bouldered bottom. The mountains grew taller the farther north we went; steeper, closer, eating up more and more of the horizon. They were like an army that has walked across the bottom of the ocean, and as they emerged you could see first their heads, then their shoulders, and now they stood with the water around their waists, their torsos fully exposed. We were in Kitasoo territory, approaching Klemtu, that town I’d visited thirteen years ago. (Forgive me, Klemtu – or perhaps you’re already grateful – for not stopping in this time. Weeks behind schedule. Geese flying south. No contacts on the ground .) The tide was dropping as we passed the small island that shielded Klemtu from sight, and the draining ocean clawed at Foxy’s hull, slowing us to three knots, two knots, one . . . maybe we should have stopped in Klemtu after all. But a ten-knot broad reach picked up just as we were about to turn around. It blew us against the current all the way to the southeast edge of Princess Royal Island, where I’d huddled in my tent for a rain-soaked week in 1999. The book also includes a collection of photos showing the beauty of the area. The Oil Man and The Sea by Arno Kopecky is an excellent read about a region to the country that is being often discussed yet barely understood. Kopecky has if anything, restored my belief in journalism and proved to me that both me and my library should be located in the British Columbia area. We all have to deal with loss of some sort in our lives. We are usually told to deal with as best as we can, but it still hurts. Jessica Moore shares the pain of a loss in her collection called Everything, now. And the wealth of emotion she shares is bountiful. the stuff we are made of. Moore has shared her grief over the death of her lover in a bicycle accident. (The book is dedicated for Galen) She shares her feelings and emotions about her loss in ways that many of us feel at times but never dare to reveal. simple vines gathering at the sill. Why does it seem crass to read about Moore’s emotions here? Sharing it makes any reader not feel alone in their pain not matter what their loss is. And this book is an excellent starting point for anybody talk about their feelings. I wrote to you a week after you died. The postcard I chose was one you would have liked – it had a bicycle on the front. the day was impossibly bright as I stood at the window of your apartment with a box of matches and a thin marble tile as my hearth. I held a corner of the card and watched it bend and twist with orange, blue and black, reducing itself to whiteness. I tipped the tile out the open casement. Suddenly, a flight of ashes: dazzling. The back of my neck prickled as the air filled with this silver play, particles that paused and shifted in mid-air, lifting rather than falling, sparkling with life like poplar leaves in sun. Everything, now by Jessica Moore is a book filled with emotions dealing with loss. But most touching is the fact that Moore has the courage to share her feelings with us, the readers. And in turn, we feel less alone with our losses. I felt at first a great resistance to the idea of creating anything from this loss. I violently rejected the thought that grief could be condensed to the page; and I shoved away the idea of building anything poetic from it or in relation to it. I was scared of reducing it – I wanted to honour the loss of Galen as terrible, sacred, and whole. As it was for me. I was afraid that writing might be a betrayal of that. But in truth, nothing could diminish it . And beyond all the fear and resistance surging up in me, writing was just what I had to do, and have continued to do, all these long years. I am discovering that – in my 42 year – I am reading out loud in order to get nuances and phrasing from certain pieces of writing. Is this a skill I never picked up on in my younger days or is my mind slipping? When I was taught reading and being quiet, did I miss out on certain details of prose that I could have better enjoyed? These are the questions I am asking myself as I read and tried to appreciate P. K. Page’s Coal and Roses: Twenty-One Glosas. I originally pick up this book because it referred to the works of other poets I might be interested in. But after reading the introductory paragraph, I realized the wording was much more complex. As I read each work over and over again, I understood how important it was to refer to the original work. Ground cover- icing sugar, flour or salt. The pupils of my eyes have turned to milk. etched for the Snow Queen, crystalline and cold. is bleached of colour by her frigid glance. Even the rainbow is a pale delight. This winter garden – white on white. While this was a complex book for me to read, the challenge was worthwhile. The problem was reading out loud for me to do. I normally read in coffee shops, in public transit, or in libraries, but doing so without disturbing others. I am a continent, a violated geography. to seek a form which dances in the sand. This is my chosen landscape. as fire balloons, tactile and brilliant. The all-enveloping sky, a cloak of soot. This is my story, my brief biography. through a sandscape, a singular topography. Not only has Coal and Roses opened up my mind to the way I read and communicate but it has opened me up to a whole new collection of poets. This is exactly what a good piece of literature is suppose to do. The Dark Night of the Soul, the darkest night. your own life or the life of a beloved. The sun goes out, the moon. There is no fire. Coal and Roses by P. K. Page has opened my mind up to different nuances in phrasing and words. No doubt I will be reading this book over and over again. Just hopefully someplace where I can read it out loud. While I received a copy of this book via a competition on Goodreads.com, I bought a copy afterwards to loan to friends. It is that copy I used to refer to while writing this piece. “Hawwwww!” I finally found the perfect book that describes what it means to be a Canadian kid growing up in the modern world. We all tend to look back at our youth and try to figure out the elements of what made us who were are today. The heroes and enemies of those days formulated our personality, and pondering back is a natural thing. Finally a writer has crafted a wonderful book which speaks to me about what it was like being a sensitive youth in Canada. So allow me a few minutes to gush about Dave Bidini’s Keon And Me. One of the reasons I wanted to meet Dave Keon was to find out if the qualities I’d projected upon him were true, or whether it had all been a water-colour memory of childhood where good triumphed over bad and Batman bested The Joker and swords possessing magical properties defeated dragons that ate kids and their families. In this regard, I’d resisted feeling cynical for as long as I could. Aging didn’t help because aging fed cynicism and bitterness like coal to a hearth, and even though my life was good and I’d been lucky enough to do what I loved to do -“Don’t get me wrong, I’m happy to be doing what I’m doing.” I’d tell people after complaining about something or someone, which I did often – there were times when I went looking for the smoke of dissatisfaction, purposefully darkening my view. 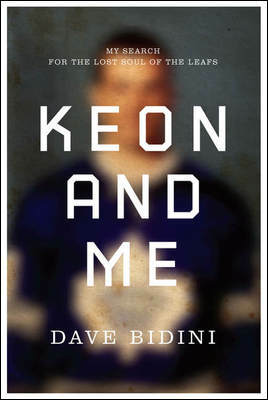 Bidini’s book deals basically with two people from his childhood; his hero Toronto Maple Leafs forward Dave Keon and his tormentor – a childhood bully by the name of Roscoe. Hockey plays an role in most of our Canadian existence. For me, the game was filled with brutish behaviour which had no interested for me. But I needed to keep up with the NHL if I wanted to interact with peers and later, co-workers. While doing that I learned that the game was once a true sport, filled with tactics and strategy, that – if I had better appreciated in my youth – I would be a bit more physically active now. Bidini has document the life of his childhood hero in this book as been the last true sportsman that played the game. In 1967 – the year the Leafs last won the Cup – Dave Keon recorded but a single two-minute penalty. Stan Mikita, who played for the Blackhawks and was often shadowed by the Leaf centre, told the papers that he maintained a list of players with whom he wanted to get even, but that “I wouldn’t think of starting with Keon. How could I? He keeps his nose clean and he’s simply too nice for me.” Coach and broadcaster Harry Neale also said, “No matter how violent the game got, goons for some reason, stayed away from Dave Keon.” The boy thought it was impossible to respect and admire the player any more than he already did – the boy didn’t use the word “love” to describe his affection: that would have been weird and gross and just wrong – but the fact that he was the league’s nicest player was almost too much. In general, the boy was drawn to things that were nice as opposed to bad, things that were gallant as opposed to cowardly, things that worked in the name of good rather than in the name of evil. The greatest things were nice – his mom, his teacher, his favourite team, his room, his street, and God and Love and Heaven – while the worst thing were bad – Roscoe, the Flyers, lying, cheating, stealing, fighting and Hell. Bidini talks in the book about the hurt the bully Roscoe caused him. But his idolization of Keon and his behaviour caused him not to retaliate against him but to quietly go home and listen to the radio. Then Bidini shares what is possibly the moment in which made him into the fantastic musician is became today. The song stared with a few guitar chords played with a wobbly sound, a sound the boy would later find out was called a “tremolo,” a word that made him think of a kind of delicious ice cream not yet invented. The words went “Goodbye to you my trusted friend/ We’ve know each other since we were nine or ten.” They boy had listened to other kids’ music where the subjects of the song were also kids, but none of the had words like “Goodbye my friend/ It’s hard to die,” which the “Seasons in the Sun” singer sang just as the drums kicked in. The song made the boy sad because the singer sounded sad. His voice was also a little like his – young and mewling, weak-sounding – and because the song had a family, and because he was being taken away from them – the reason was probably death, although he couldn’t be sure – the boy became vacuumed into the words, even though he resisted, something he always tried to do whenever CFTR played the song. But it is Bidini words about growing up that makes this the perfect Canadian coming-of-age book. His words are simple yet lyrical and the metaphors he using brings up so many memories that only a Canadian could understand. Keon and Me by Dave Bidini move me in ways that are beyond words. While I may not be the biggest hockey fan, Bidini exploration that he shared by writing this book is brilliant and worthwhile reading. No doubt I will be reading this book over and over again as I get older and continue to be reflective about my life. Hawwwww! What drives a person to do incredible feats is an important question about the human condition. Why does a person do a certain task when it seems impossible to do. How do the people feel around that person while he/she is trying to accomplish the impossible? And what occurs in the mind of that person if he/she should happen to fail to reach that goal? That is some of the important points Tanis Rideout explores in her brilliant novel Above All Things. George and Ruth sat on the drawing room floor, laughing and tipsy, dinner growing cold on the table in the next room. Ruth was cross-legged opposite him, her grey skirt pulled tight across her knees. She picked up the single sheet of thick, ivory paper from her lap and reread the invitation from the newly formed Everest Committee again. “My husband, the world famous explorer.” Ruth held up her glass of wine and he reached out with his own, the crystal ringing in the lamplit room. She was fairly bursting with happiness. After discovering Rideout’s poetry and blogging about her work here, it was suggested that I look at her novel. She has a talent with words. The plot deals with the real-life story of George Mallory and his attempt to be the first man to conquer Mount Everest. It had been ten days since they made landfall at Bombay and now, on the day they were to leave Darjeeling, heading northwards through the Mahabharat Range and into Tibet, George woke with a hangover. Hoping to burn off the worst of the headache, he forced himself out into the misty morning to run along the Teesta – the slow wide river that edged the hamlet and it terraced tea plantations. His head throobed with each step, and he gritted his teeth against it. This was how it would feel to work at altitude – that painful and foggy. The muddy riverbank sucked at his feet, and his legs burned as he dragged them free. His body was loose and lazy, but eventually he found his stride, gulping at the clean, wet air. Musty and rich. The journey here had been a slow drift through the seasons – he could barely remember the damp, February weight of Cambridge, of London. then they had slipped past the coast of France and into the humid spring of the Mediterranean. Now they were leaving the dry summer blaze of India and would soon enter the high Himalayan winter. there everything would be grey and white, the colour stripped from the landscape, tinted only by the rising or setting sun. For the moment, he basked in the lush green of the tea plantations. He would miss the first burst of spring green back home. It would be late summer before he returned. Rideout has captured the emotions of the people in her book well. Not only does she look at the climbers as they try to scale the mountain, but she looks at the family members of back home as they wait for news on the climb. There are footsteps climbing the stone stairs outside the door. The shadow of a man through the coloured panes of glass. A pause. Waiting in the gloomy entryway. I hold my breath and the shadow freezes, bent slightly at the waist as if he’s heard me, knows that I’m here. Then he bends out of sight and there’s the clink of glass against glass. Not the post, then. Of course not. It’s too early for the post. I haven’t let myself glance at any of the clocks yet, but now I know. Only five in the morning. the milk delivered like clockwork. If only the postman was as reliable. The shadow retreats, taking his footsteps with him, down the stairs and the walk, into the road, and I retreat too, back into the house. Rideout has dedicated “mountains” of time and research to this story. And the emotions she has charted in this book makes it a strong read. Above All Things is a work of fiction inspired by historical events. When I first encountered the stories of the early Everest expeditions, I didn’t even have the facts; all I had was the myth. I was first introduced to the story of George Mallory while working at a local outfitter, selling climbing and camping gear. There was a television set on the shop floor that played gear videos, mountain movies, and adventure documentaries. My favourite documentary was one that showed black-and-white footage of the earliest attempts to climb Mt. Everest. That was how I first saw George Mallory: in pith helmet and knee socks, crossing the Himalaya. From the very start, that image and the story of his disappearance had me hooked. Above All Things by Tanis Rideout is a emotional and well-thought out read. Anybody who looks at literature for an understanding into the human condition should savour this book very carefully. It is an enlightening and enjoyable read. The life of Joseph Merrick – the so called Elephant Man – has been documented in many means and forms. 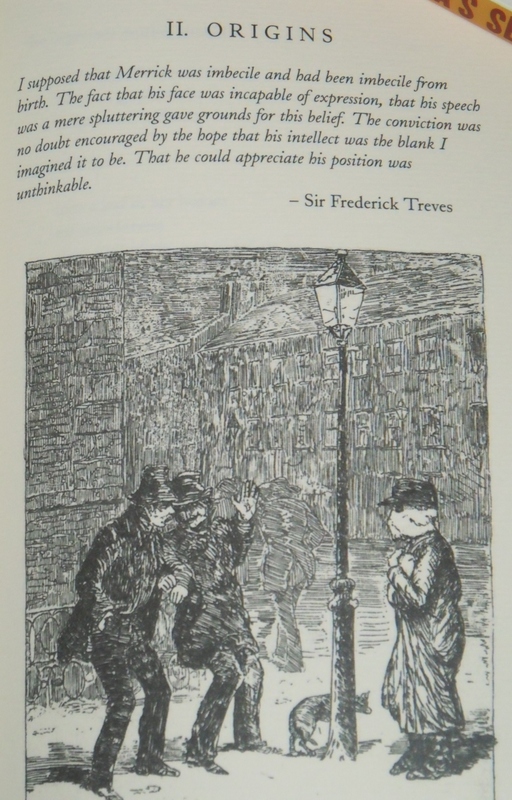 But what Kenneth Sherman has done in his book Words for Elephant Man is given a voice to that tragic soul from long ago. This is the son of Thy suffering servant. This is the articulation of the New Age. This is God’s hobbling little poem. I drone on in His image. Sherman has a brilliant voice. The words not only have to be read, but carefully considered. They are filled with delicate emotions and thoughts. and my world fell through. my rough cheeks stained with tears. If a reader carefully reflects on the emotions that Sherman conveys, does the reader carefully ponder what foolishness our actions are in this modern age? Jack the Ripper did in. down to the pubic hair. Words for Elephant Man is a thought-provoking read. It reflects not only back to the life of Joseph Merrick but gives pause to who and what we idolize upon today. Finding Meaning Beyond Simple Definitions | Review of “Ink Monkey” by Diana Hartog (2006) Brick Books. Somewhere in my search beyond a life out of a tiresome media career, I recently discovered the “819” section of my local library. This section includes an assortment of small press poetry that has captured my imagination in it’s exploration of not only the human condition but also the world in general. Diana Hartog’s Ink Monkey is one such example from that section. -leaving the face down on the couch. Hartog’s words may seem simple and the subject of her poems a bit off beat, but upon second and third readings of her works, one realizes the profound observations she is making about society and the world we all inhabit. of those ideas known as stars. Jellyfish may seem to be insignificant to many of us, yet Hartog has a whole section describing their movements and their appearances called Jellyfish Suite. Hartog also gives her views on a collection of woodblock prints made by the 19 C Japanese master Utagawa Hiroshige. Her views on The Tokaido Road prints are fascinating. From the Forest of a Thousand Pines and its deep silence, I emerged at dusk, having followed the voices of children gathering cones into the baskets. There was a still time: the darkening sea stretched far to the line of a horizon as yet unbroken by the special moon. The waters deceptively calm, as if this were any night. Against my better judgement I sought out the hut of a local poet. We had met once before, in Edo, but holding differing views. Finally the way was pointed through a maze of alleys. I found him shivering but in high spirits, cowled in a blanket, revising his poems. -one of which, he claimed, is to be anthologized. Worried about the moon, I soon left. I am not sure if I have the disciplinary tools to talk about poetry but I do love my explorations into the “819” section of the library. And if there are more books like Diana Hartog’s Ink Monkey, I will soon return. The beauty of the coming-of-age novel is that a reader learns about an experience outside of their personal realm. The joy of the crime novel is the suspense the drama of the book creates for the reader. Mix the two together and one gets a profoundly fantastic novel. And that is what Joyce Maynard has done with her book After Her. Nothing much ever happened on the mountain where we lived, growing up, and we didn’t get cable. We were always hoping for a little excitement. So my sister and I made up situations. All we had was time. One day we decided to see what if felt like to be dead. If a person’s dead, they don’t feel anything, Patty said. This was Patty for you. The plot is set in the summer of 1979. While things seem idyllic at times for Rachel and her younger sister Patty – singing along to a Dean Martin 8-track with their father in his Alfa Romero – the sisters have to deal with the collapse of their family unit, the lack of friends and the onset of puberty. But when young women start showing up dead in the nearby mountain, not only do they have to deal with the stress of the concerns of the neighbourhood, but watch the stress rip apart their detective-father as well. After that fifth murder, we saw our father even less, except on television, and in the paper. He stopped by just before that Labor Day weekend – one of those brief drop-ins our mother spoke of as his cameo appearances. He had a present for each of us – an Adidas jacket for Patty, a necklace for me. “This is so you’ll look sharp on the basketball court, Patty Cakes,” he said, zipping the jacket up for my sister. “As for you, Farrah,” he said, handing me the box with the necklace, “this is the year you figure out how beautiful you are. You’ve got one of those faces that take a little time to grow into. But you’re getting there. My father had never even heard the name of Teddy Bascom. So how did he know? Soon I was making out with Teddy Bascom on a daily basis, mostly in Alison’s rec room, but also in back of the school when classes got out, and out by the basketball court, and pretty much anywhere else I was likely to run into him. At the time I made no particular differentiation between the concept of a boy being genuinely interested in me and the simple desire of that boy to get his hands on my breast, or any breast. At least three afternoons a week now I went over to Alison’s house after school, and on other occasions I would head over to the rec center to watch Teddy play basketball. Sometimes my sister accompanied me then. What she really wanted was to play, herself, but even though she could have held her own against some of those boys – tricking her defender with a pump fake, then diving past him with her amazing feet to bank it in – they would never have invited her to join. Least of all Teddy. More than any of the other boys his age. Teddy possessed a kind of confidence and assurance, and obliviousness to the needs of anyone but himself. But I loved how cool he was, and even more, the way his choice of me as his girlfriend – as the girl with whom he hung out at least – conferred a certain coolness on me. And there is certain sense of drama and suspense that Maynard has added into this book. The reader feels the fear and chill that is running through the main character’s mind. Just after Veterans Day, another girl disappeared – number eight. This time it happened in Muir Woods, just barely out of sight of the visitors’ center, amazingly, but in a overgrown spot where a couple of old-growth redwoods lay fallen on the forest floor, having no doubt concealed the killer as he lay in wait for his victims. Her name was Naomi Berman – an eighteen-year-old from New York City who’d flown out to San Francisco with her mother just the day before to visit Stanford; her interview was scheduled for the next afternoon. To pass the time until then, her mother had signed the two of them up for a tour through Marin County. It was the last tour of the day, and the tour guide had given everyone forty-five minutes to explore Muir Woods, but the mother had stayed on the bus, feeling carsick. After an hour passed, and Naomi hadn’t returned, the guide contacted a ranger. An hour later another ranger found her body. I didn’t ask, and nobody would have told me if I had, but no doubt he found her in the naked prayer position, with the electrical tape over her eyes. Shoelaces gone. The mix of the coming-of-age novel and the crime book makes After Her by Joyce Maynard a enjoyable and enlightening read. It is a book that needs to be savoured and recommended to fellow literature fans. Remember the allure of reading when you were a child? There were certain stories that held your imagination because they were filled with magic and far off places, silly words and lovable creatures. Allan Stratton is one such person who remembers those tales well, and he has created his own such story in his children’s book Curse of The Dream Witch. Once, the kingdom of Bellumen had been happy and safe. Feast days were celebrated late into the night in village squares, and children could fall asleep under the stars. No more. Now youngsters who ventured outdoors after sunset were never seen again, and those who searched for firewood in the forest beyond the cornfields disappeared without a trace. Stratton has created a wonderful story around Princess Olivia, the main character of the story. The Dream Witch wants her heart and until she does, none of the youngsters of the kingdom are safe. Milo -a peasant boy and one of Princess’s subjects – attempted to go out one night and he found himself trapped in the witch’s lair. Milo roused. What time was it? the room was dark he couldn’t tell. All he knew was that he’d had the most terrible nightmare. He’d been in the forest and the Dream Witch had caught him and brought him to her cottage. Milo shuddered at the thought of it. The outside door was a mouth. Not something that looked like a mouth, but a real mouth. And inside was an earthen stairway that swallowed him into her underground lair. The witch had flown him through a fog filled with the howls of evil things, over vast dreamscapes of jungles and castles and lava pits, the into a terrible darkness. The story is a wonderful one either for a little one to read or to read to a little one. While this story is a wonderful adventure, Stratton has added elements that educate little minds as well. It was true. Olivia knew it. She took his hands. “Let’s make a vow, then. Let’s promise ourselves that no matter how scared we get, we’ll always remember there’s someone else who’s just as scared. We’re not alone. Allan Stratton has created a new book with the feel of all the classic stories with Cruse of the Dream Witch. It is a delight to read to a young person or for a young person to read.